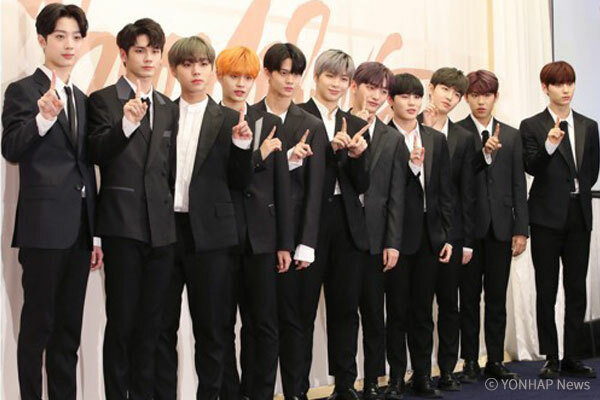 K-pop boy group Wanna One has released a new record, the latest in its arithmetic-themed album series. The new record, "1÷χ=1 (Undivided)," was unveiled on major music streaming stores at 6:00 p.m. Monday, June 4. The latest release is a continuation of the 11-member project group's three previous records which have been inspired by arithmetical operations: "1X1=1 (To be One)," "1-1=0 (Nothing Without You)," and "0+1=1 (I Promise You)." The lead track “Light,” and four other songs in the album have been produced by famous rappers like Zico and the indie rock band Nell.